Welcome to The Mexican Connection! 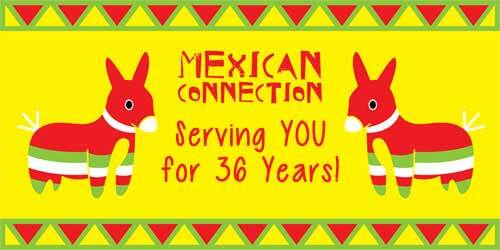 The Mexican Connection specializes in great handmade Mexican food. Our recipes are prepared fresh daily using only the highest quality ingredients. Best Margaritas this Side of the Border!